This week my recipe is celeriac and beetroot pickle which requires only 24 hours to mature. We ate it as a side with salmon steaks steamed on a bed of buttered leeks with basmati rice and it was a great combination. It prompted a purchase of beetroot seeds in preparation for an early sowing session. Burpees Golden Globe is not one I’ve grown before and I love the intense colour. Babieto di Chioggia is an heirloom Italian variety that was grown around Venice in the C19. It has a mild flavour and these very pretty rings and can be eaten when young or stored for Winter. Beetroot Boltardy is a favourite and I shall sow seeds of all three in compost from early March. And I am tempted to try growing celeriac although I was slightly put off when a very experienced plot holder held up three celeriac roots. Excited as he was at his first attempt they were still only the size of apples. Size isn’t everything but with the possibility of the badger rooting them out along with all other roots it will be a limited experiment. Apparently the leaves can be eaten too. Cuttings of Verbena bonariensis were taken three weeks ago and are looking healthy in the greenhouse. I noticed that the watering can (left inside to reduce a cold water shock to the seedlings) had 5 cm of ice on the surface water last week. A heavy frost is forecast for this week so I am trying to reign in taking any more cuttings and will resist seed sowing for a good few weeks. Viburnum x bodnantense ‘Dawn’ growing in a very deep pot outside the kitchen door has just started to flower. I forfeited the tallest stem since it has reached the balcony on the next floor and is bashing against a trough. As the flower buds open in the warmth of the kitchen a delicious scent is filling the air. 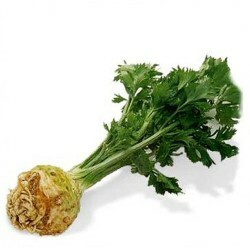 Like the sound of that recipe, I recently bought a big round celeriac and have some left so might have a go at that. I’ve tried growing it on my plot but like your plot holder I’ve never been able to get roots any bigger than a tennis ball! But I keep trying, last year slugs ate every single one of my plants. Its certainly a challenging crop!! I have learned it’s worth trying one more time with fruit and veg. My peas were often disappointing then last year I had great crops. Same with dwarf French beans.